An “old” member of ACAO, Jens Kroeger, has come to visit us with an aircraft that is difficult to see at an airport as ours. 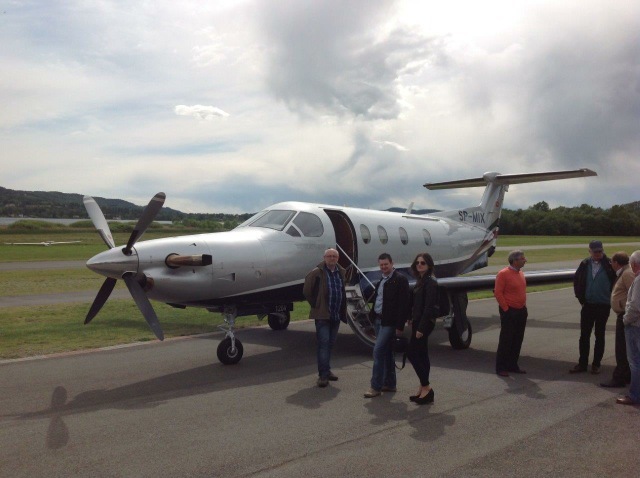 The Pilatus PC-12, which is 14.40 m.long and has a wingspan of 16.28 m whose weight is over three tons, is in fact landed in Calcinate on 13 May, to take off shortly after. Jens is now living in Poland and was on a business trip and he asked to be allowed to land at the Airport Adele and Giorgio Orsi. And we were very happy to be able to meet him again.